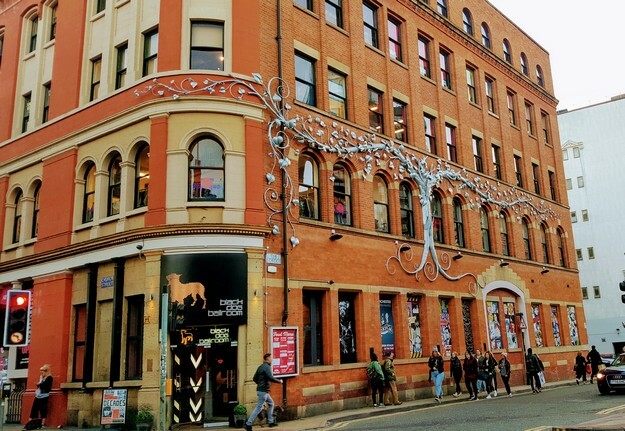 This month, the Year 12 A-Level Geography group visited the Northern Quarter to carry out compulsory fieldwork. The aim was to explore the developing character of a local place and engage with its people. 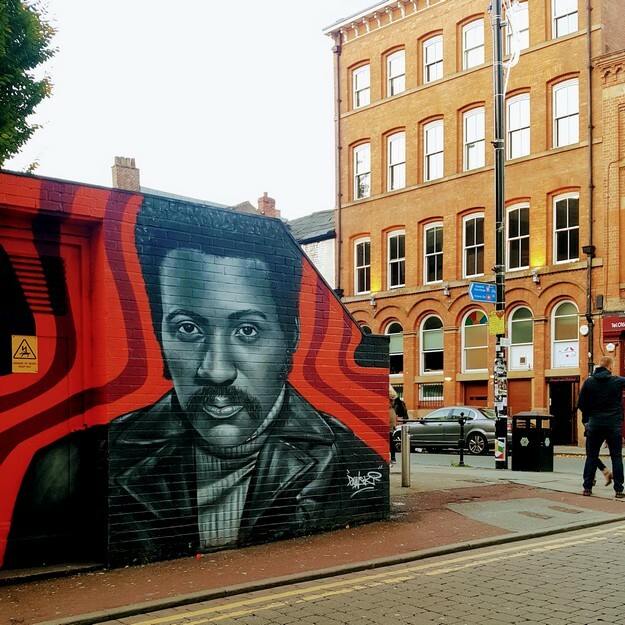 We approached the Northern Quarter from a cultural perspective researching how meaningful it is to individuals who have connections with the area. We also used qualitative methods to explore the hidden landscapes, atmosphere and histories which involved a new territory for investigation. The girls began by visiting specific locations and used a ‘place wheel’ created by the ‘Project for Public Places’, a global movement investigating what makes a successful urban place. Using the wheel as a tool, the girls assessed elements of key qualities, such as sociability. They also captured the striking industrial architecture with field sketching, recorded sounds and created a short video to capture the atmosphere. 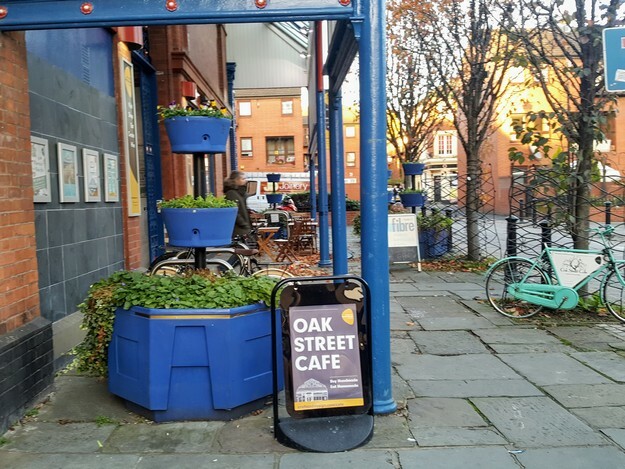 Another new approach was to visit a typical café and carry out ‘participant observation’, focusing on the people in the café and completing our own sensory study to summarise the impact the café had on all our senses. Soaking up the atmosphere was therefore all part of the experience as was investigating some of the quirky independent stores in the area and analysing the huge street art murals. 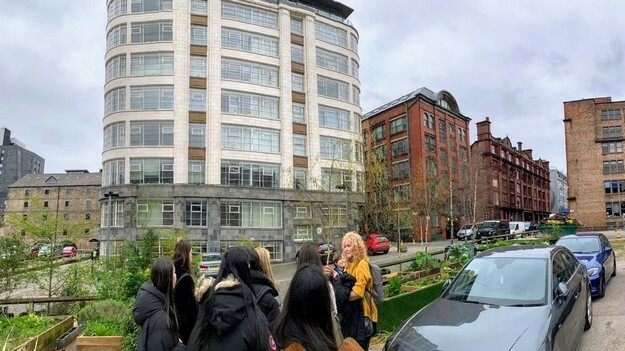 The girls however learnt most about ‘place making’ when interviewing Dominic Sagar, an architect, who took us to his former practice on Tib Street which had once been a small haberdashery factory. 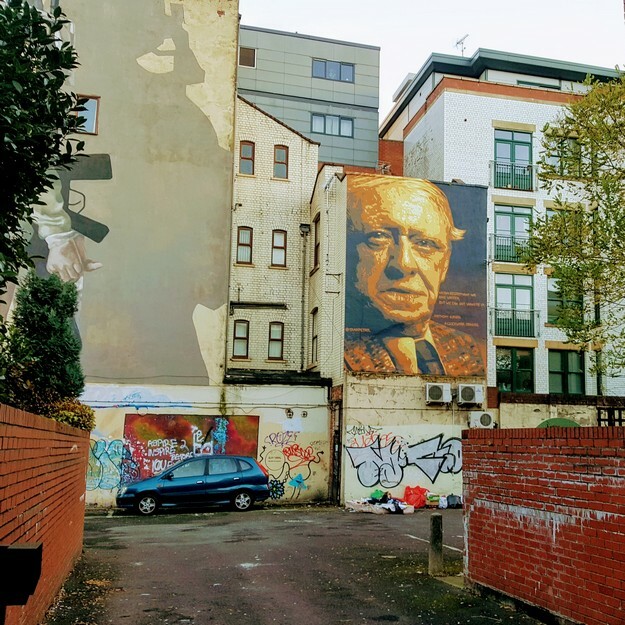 He had operated from here in the 1990s as one of the passionate creative group who started transforming this decaying corner of the city centre. 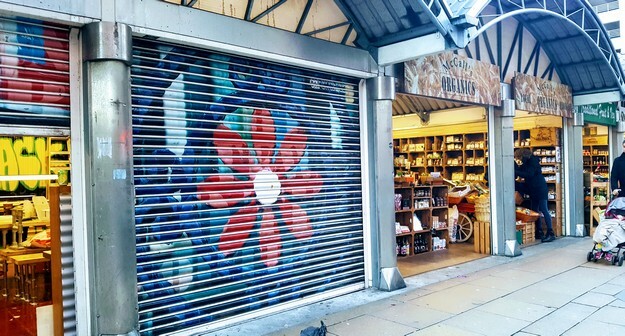 He remembers it as a labour of love, where the main intention was to transform peoples’ perception of the former run-down area of the city centre, blighted by industrial decline and commercially ruined by the development of the Arndale Centre in the 1970s. Aiming to save old industrial buildings from dereliction and create a new community bound by art and music, he was instrumental in helping create the thriving, bustling independent neighbourhood that is still evolving today. 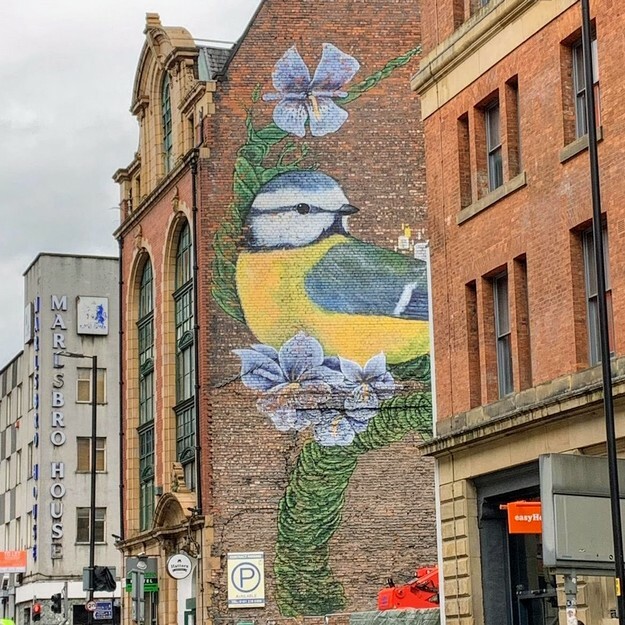 Arguably now the most colourful and vibrant corner of the city centre where people want to live and work and play, the girls got a greater depth of understanding through the passion and vision articulated by Dominic. This was real Geography demonstrating the organic style of regeneration and role of the music industry, especially risk takers like Tony Wilson setting up café bars for young musicians and transforming perceptions. In Dominic, we could not have met a more inspiring professional who was so generous with his time and who had so obviously added to the illustrious history of the area. Then, in the afternoon, we went to the offices of RPG Accountancy, where we had been able to their board room and to which we invited young professionals living and working in the city centre to create a focus group. Two of the group were WGS alumnae, Holly and Olivia, who had both studied Geography at Durham University. Questioned about their lived experience, it was clear they were all drawn to this quarter of the city centre because of its idiosyncratic individual vibe but, for them, it was an area for fun and social gatherings in bars, cafés, quirky shops and restaurants, or for experiencing totally novel activities that only the Northern Quarter could provide – like a ‘Laughing Yoga’ work shop! The girls then finished the day analysing artists’ impressions of the area which they could now meaningfully compare with their own first-hand evidence. 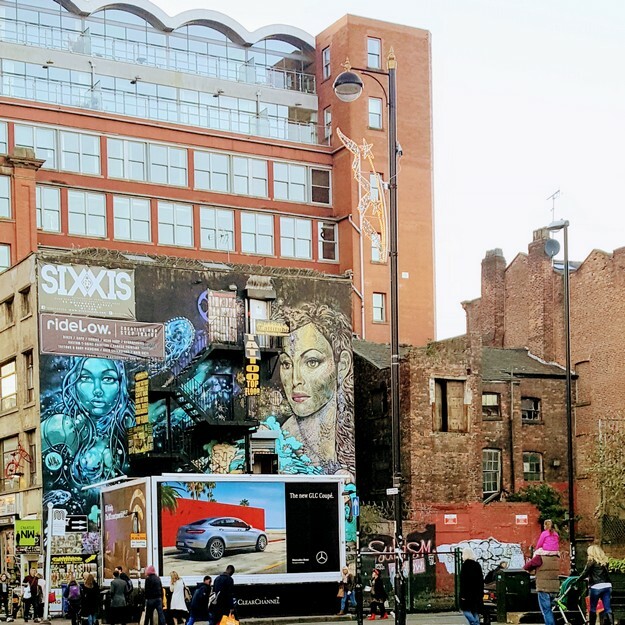 The group returned home with a much deeper understanding of how this once derelict area of our city had been reborn into a creative dynamic neighbourhood buzzing with the current commercial success of its clubs and bars. Qualitative techniques had unravelled an inside view of an environment that our traditional quantitative fieldwork, such as mapping land use, would only have scratched the surface. It created an experience our Year 12 geographers would not forget.